There’s no doubt about it; New Zealand Sauvignon Blanc has certainly tantalised the taste buds of the world. A flagship varietal that represents New Zealand in many overseas markets its popularity knows no bounds. Two years ago in the U.K., a survey of 400,000 people found the grape comes top in every British town, city and county – except (for some reason) Berkshire. Its fast rise up the hit parade in the U.S. show it to be a very serious contender to the housewife’s favourite, Chardonnay. 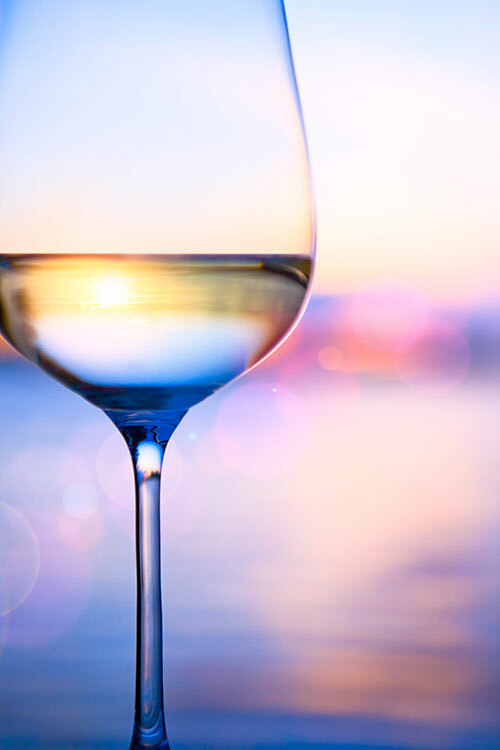 The popularity of New Zealand Sauvignon Blanc can be attributed to many things, it has a versatility with food that makes it easy to pair with dinner party favourites, and of course it has a tantalising fresh acidity that is quite unique. Fairbourne Premium Marlborough Sauvignon Blanc, is terroir inspired from a single vineyard. What does that mean? Well, it means it tastes like no other Sauvignon Blanc you will have tried because the ancient clay gravel soils where the vines grow, define its unique style. The grapes are hand-picked for elegant and refined flavours. 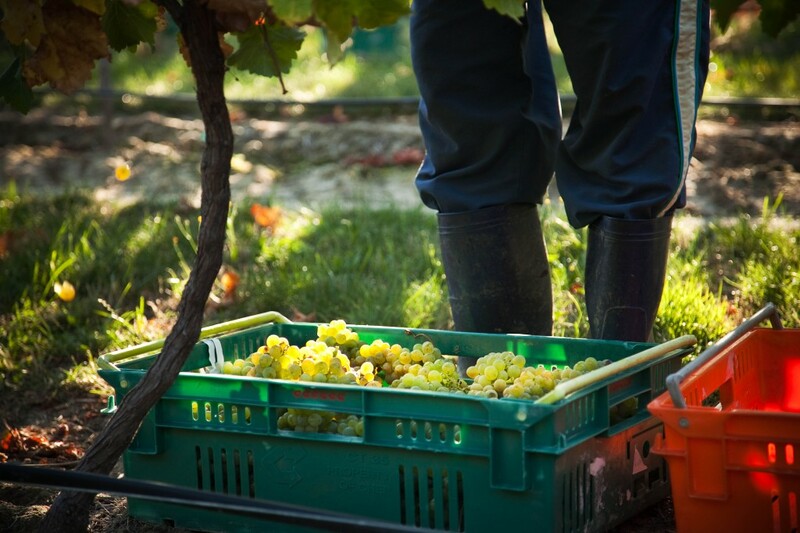 Fairbourne Premium Marlborough Sauvignon Blanc, is hand harvested. The difference between hand harvested Marlborough Sauvignon Blanc and that harvested by machine is monumental. 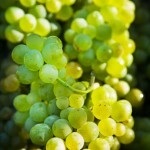 Flavour and palate texture from hand harvested Sauvignon Blanc is far more expressive and the wine has greater length. Sauvignon Blanc grapes have very “wild / savage” characters. Hand harvesting lessens juice contact with the more aggressive and phenolic characters of crushed skins, bunch stalks and petioles. Therefore, hand harvested grapes can produce a more focussed aroma spectrum and better express the nuances of the vineyard with a clear and powerful varietal expression. Fairbourne Marlborough Sauvignon Blanc consistently earns 5* reviews. Bob Campbell – Master of Wine, Sam Kim and Raymond Chan have all scored five out of the previous six vintages with five stars. Reviews just in for the 2016 vintage are all 5* reviews. Bob Campbell says impressive purity. Raymond Chan describes it as sheer finesse. Sam Kim extols its seductive savoury nuances. Michael Cooper reckons it’s one of the best yet! 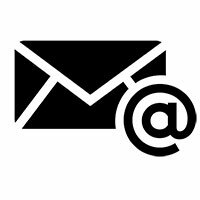 Read the latest reviews in full HERE. Bob Campbell, Master of Wine, has recently published a list of Marlborough Sauvignon Blanc wines that he expects to be super savvies, and we’re pleased to say we’re on the list! Bob says that he expects Marlborough Sauvignon Blanc from 2015 to be a very special vintage, and we couldn’t agree more. Sarah & I feel like we’re double dipping as far as vintage goes this year. 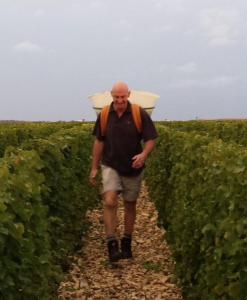 Having had a wonderful New Zealand harvest earlier in the year, we’re thrilled to be ensconced in Chavignol, Sancerre for another harvest. We’ve been part of the third earliest harvest in the region since 1976! We’ve been earning our keep… Picking is completed by picking into a bucket, once full, these are transferred to the Hotte, (pronounced ‘OT’). Then the Hotte is emptied into the trailer. The Hotte carries an average load of 65-70 kg, 80 kg if full! But Sarah and I believe it’s more than that, as well as a sense of place, our interpretation of the word includes a sense of behaviour and a sense of culture. Whilst it’s true that in terms of terroir, a wine’s flavour and structural characteristics can reflect soil types and climate; it can also reflect the nature of the winemaker and importantly the processes they adopt. When we introduced Fairbourne to the discerning London market, the client was looking for a new world wine to bridge the gap between the popular “Marlborough style” and their serious Sancerre wines of the Loire Valley. Looking for a wine that represented where it was grown, the ability to age gracefully and some of the vibrancy of new world Sauvignon Blanc. Fairbourne was the wine they chose to meet that new market segment and we have been supplying for the past 6 vintages. Consistency is also sought after by buyers looking at super premium wines. We committed Fairbourne to varietal specialisation and sustainably managed vines to grow consistent, site specific premium Marlborough Sauvignon Blanc. Our grapes are hand-picked from a single site and grown on a hillside vineyard with clay gravel soils. 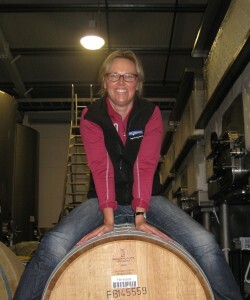 Restraint is the key influence of the Fairbourne winemaking philosophy. 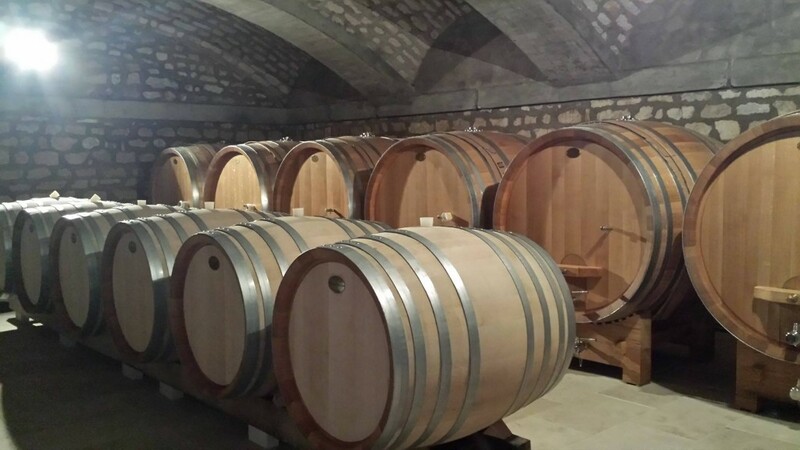 Grapes are fermented as site batches with neutral yeast to capture their individual fruit and site expressions. 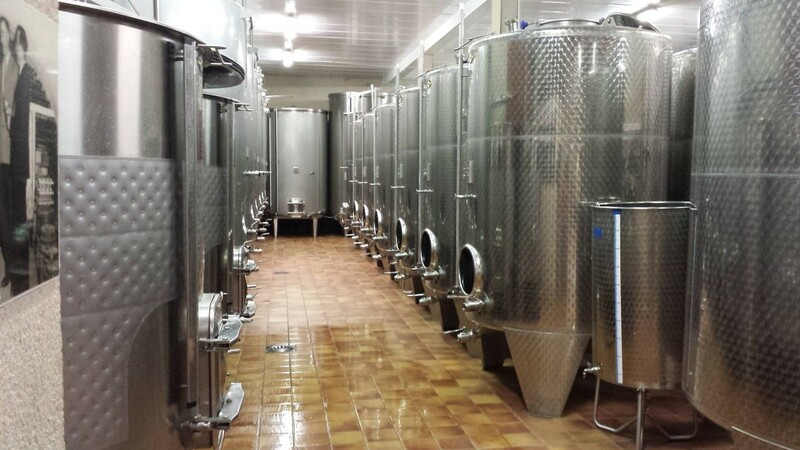 Fermentation is managed in temperature controlled stainless steel tanks over a four week period. The batches are carefully blended, including a small portion barrel fermented in new French oak, this creates a silky entry, which generously ascends across the palate with a supple texture and dry finish. 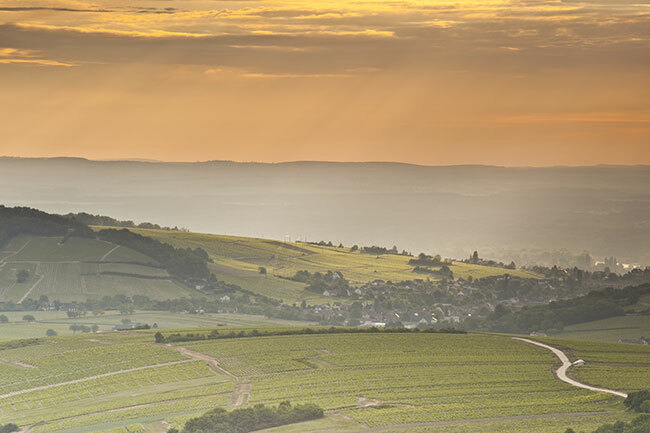 Because our wines are terroir inspired, it probably serves as no surprise, that Sarah and I have always been intrigued by Sancerre; we’re excited to be heading to the Loire Valley in a few weeks time to ensconce ourselves in a French harvest. We’ll be sharing our travels on the blog, so stay tuned… There will undoubtedly be some culinary delights to share! As another harvest closes we’re celebrating Marlborough and the culinary delights it has to offer, by giving away a selection of delicious Marlborough produce to one lucky winner. NOTE: Basket is not included in prize pack. Visit our Facebook Page and fill out the entry form for your chance to win, and don’t forget to share with your friends. For every friend that enters from your unique referral code, (your share prompt shows on submission), you will receive a BONUS entry. Well it was an early start to the season with bud burst around 2 weeks early. Flavours were slow to develop initially, then stronger as the weeks closed prior to harvest. On 28th March we hand picked fruit for Fairbourne at optimal ripeness with good acidity and demonstrating wonderful nectarine flavours. Here in Marlborough we had beautiful warm weather, in the early to mid-20’s until the 8th April, then the rain came in……. luckily this didn’t affect us, our low yielding practices meant that our grapes had ripened nice and early, allowing us to harvest prior to the rain. This means that we can continue to bring you premium hand-picked Fairbourne Sauvignon Blanc that is consistent in style and quality. Our ferments are now finished, and we look forward to bringing you another stunning Fairbourne wine in a few short months from now.